One king size bed and one queen size bed. Linens and dishes provided. 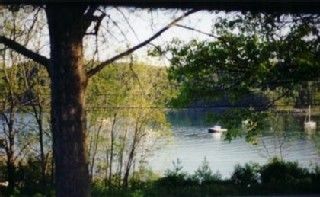 View of harbor from large deck under a large shade tree. Great spot for a quiet home base to explore the Downeast Coast. Several good restaurants and a grocery store within a few minutes. 9 hole golf links overlooking Flanders Bay only a mile and a half away. Stove, microwave, bread maker, refrigerator/ice maker, dishwasher, cooking utensils and dishes, washer/dryer, linens, cable TV, internet, oil furnace. BR B Activities: /B BR Visit Acadia National Park, hiking, kayaking, biking. Tennis court and salt water swimming pool in town. Travel by ferry from Winter Harbor to Bar Harbor. Contact BarHarborFerry online for schedules and information. <BR><B>Area:</B><BR>Very beautiful, relaxing, casual vacation spot close to all the attractions of the Maine Coast. The view of Frenchman's Bay is no longer there. We had a good time and saw a part of the Bar Harbor that we have always wanted to see.